She always believed that the real history is created by ordinary people. For her, the endless source of inspiration for writing used to lie in “amazingly noble human beings” and their sufferings. Bengali litterateur and activist Mahashweta Devi, who breathed her last today in Kolkata, has been fighting against social injustice ever since she started holding a pen for a purpose. Mahashweta Devi was not just an onlooker, but a responsible representative of the subaltern, the downtrodden and the ignored population of the country. It is through her fierce writing that millions of tribal people in India could manifest their misery. This leading Bengali fiction writer and an eminent social activist wrote extensively on emaciated existence of the most marginalised and dispossessed of our people. Her indictment of the society “for the indignity it heaps on its most oppressed constituents” has always been strong. From depicting brutal oppression of the untouchables by authoritarian upper-caste landlords to narrating stories on how scheduled tribes and their traditions are closely wound up with the forest they live in, her writings have raised hackles of the local and state governments. Her seminal work, Hajar Churashir Ma (The Mother of 1084), which deals with the Naxalite movement in West Bengal, captured the sad realities of the movement. In fact, the stories of tribal resistances against the British and other authoritarian entities were poignantly documented in her books such as Aranyer Adhikar (Right to the Forest) and Chotti Munda O Tar Teer (Chotti Munda and his Arrow). Mahashweta Devi had thrown herself into the fight to reclaim basic rights of the deprived lot and make them self-reliant. 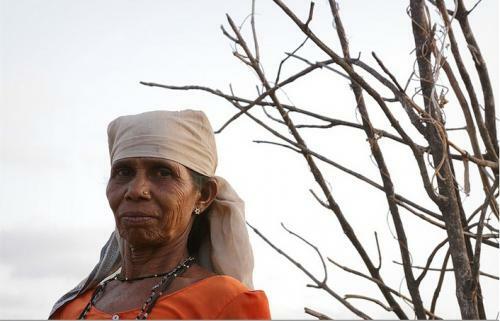 She walked her way through remote villages and deserts in search of oral history and folklore. Her “impractical sincerity” towards collecting data for her stories is reflected in each of her creations. The author had a very first brush with human suffering during the Bengal Famine (1942-44) when she volunteered to provide relief to the victims. She would distribute food, scrutinise the bodies lying on the streets to identify those still alive and take them to relief centres. This was perhaps the watershed moment in her career dominated by literary activism. Her work with the Sabars, a de-notified tribal community in the Purulia district of West Bengal, earned her the sobriquet, "The Mother of the Sabars". As a social worker in the domain of tribal welfare, she rendered her service to the West Bengal Oraon Welfare Society and the All Indian Vandhua Liberation Morcha. She was also the founding member of Aboriginal United Association. Above all, she would be remembered for founding India’s first organisation for bonded labourers in 1980 that gave thousands of them an organised platform for raising voice against forced labour. Long before Mahashweta Devi started penning miseries of her fellow citizens, she had been herself at the receiving end. She had to do several odd jobs starting from selling dye powder to supplying monkeys for research to the US, so that she can supplement her husband’s income, especially after the birth of their son. Even though she could lay her hands to a government job at the Post and Telegraph department, she was targeted as a communist and terminated from her job. She also overcame a broken marriage and a period of acute depression to establish herself as a people’s writer. Mahasweta Devi has also been a strong critique of the West Bengal government’s industrial policy. Through newspaper columns and interviews, she had mobilised people against forceful confiscation of large tracts of fertile farmlands by the government and ceding them to industrial houses at throwaway prices.